Choose one of our many markets below to learn more about how Moog Australia designs and builds customized motion control solutions for a variety of demanding applications. Over the past 60 years, Moog has developed a reputation throughout the world as a company whose people and products are at the forefront of the aerospace industry. 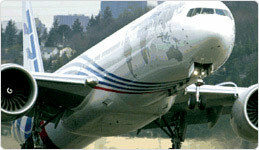 We are known for our successful solutions to motion control challenges that are viewed by others as impossible. This directly reflects the creativity, work ethic and remarkable attention to purpose of our people. 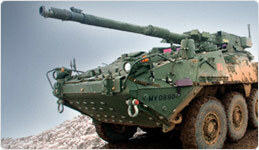 Moog provides components, sub-systems, and full systems to the defence market. Equipping those who defend freedom, Moog designs motion control solutions for Air, Land and Sea military platforms. 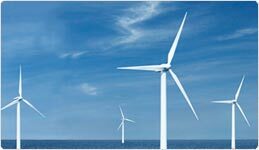 Providing motion control solutions for energy applications involves accommodating some of the most demanding environments found in the industrial marketplace. From energy plants with gas turbines to wind turbines in offshore wind farms to down-hole drilling installations, the highest priority for our customers is ensuring uptime in 24/7 operations. When it comes to reliability, Moog solutions provide unsurpassed, critical control functions on all sizes of gas and steam turbines. From large frame size through to the smaller aeroderivative engines, or on gas, liquid or dual fuel configurations, Moog has extensive experience in providing reliable hydraulic and electric technologies. The pressure has never been greater on manufacturers of industrial machinery to achieve higher productivity, premium-quality products, and maximum energy efficiency, all at less cost. Many machine builders are also trying to incorporate new technologies, manufacturer with new raw materials and find new ways to differentiate themselves in the marketplace. Moog's approach to solving power and data transmission challenges is simple – innovation and performance. Moog’s products consistently perform in the world’s harshest environments. We offer leading-edge custom solutions and services that set the pace in today’s rapidly changing global markets. For over 20 years, we have delivered trusted technology products to the offshore petroleum, oceanographic, seismic and maritime industries. 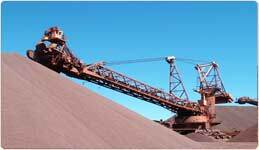 Our products consistently perform in the world’s harshest environments. We offer leading-edge custom solutions and services that set the pace in today’s rapidly changing global markets. For over 20 years, we have delivered trusted technology products to the Mining, Heavy Industry, offshore petroleum, oceanographic, seismic and maritime industries. 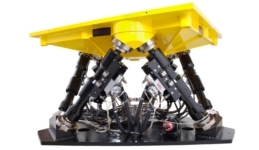 Improve the performance of your downhole drilling, topside, and subsea equipment with Moog high performance motion control solutions for oil and gas applications. We collaborate with you to create the best solution for your unique application delivering a complete solution that incorporates our high-performance components. Moog Sensor and Surveillance Systems, a business unit of Moog Space and Defence Group, is comprised of four strategic acquisitions. The acquired companies were formally known as QuickSet International, Videolarm, Inc, Pieper GMBH and Knox Video. This consortium serves surveillance needs on a broad scale spanning Commercial, Industrial and military markets. Moog Australia has provided engineering support for Moog’s motion simulator product range for more than 10 years. Our application supports extends from the supply of aftermarket services through to the design and integration of 6DOF hydraulic and electric motion platforms. 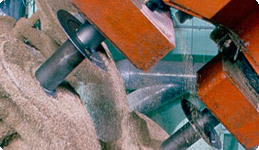 Requirements for motion control in iron and steel production machinery are challenging including the need for the highest precision, reliability and productivity, even in harsh environments with high temperature. Moog's 40 years of experience in the industry provides a deep application knowledge that is matched with a proactive approach to offering products and solutions that meet the exact requirements of this industry.